In my bog-standard org-mode setup, this results in “ABC” being displayed in the far-left column of the agenda instead of just “todo” (which seems to be the default). This is great — it means that, in the text of the “Subtask” todo entry itself, I don’t need to include a reminder of what project the todo entry is associated with. This also allows filtering the agenda by the category. ("w" "Weekly review" agenda ""
("W" "Weekly review sans routines" agenda ""
so that I can see all the tasks (including routine tasks) in my regular weekly review, and just the special stuff in a separate view. You can see the whole definition of org-agenda-custom-commands in my Emacs configuration. D.C.’s tip is handy if you want to keep those groups of tasks in one file, but still want that kind of visual indication in your agenda (and the ability to filter by it). 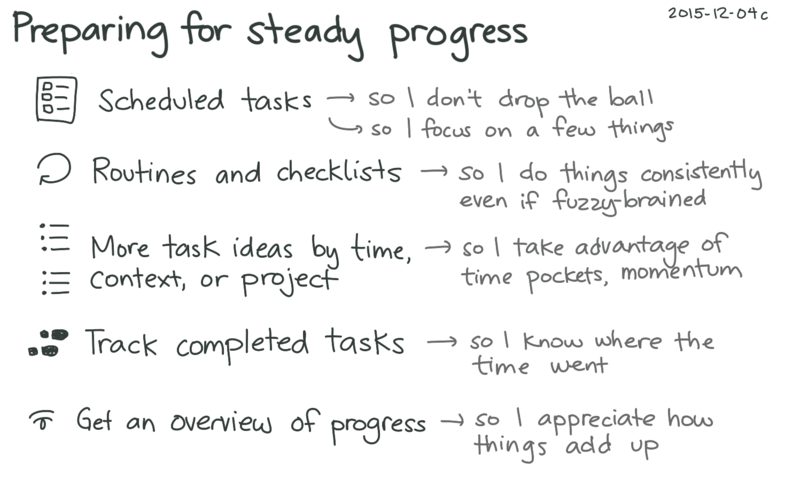 I’ve also been sorting out my workflow for quickly adding tasks. C-c r t (org-capture, with the t template I defined in org-capture-templates) displays a buffer where I can type in the task information and set a time estimate. From there, I can file it under the appropriate project with C-c C-w (org-refile), or maybe schedule it with C-c C-s (org-schedule). 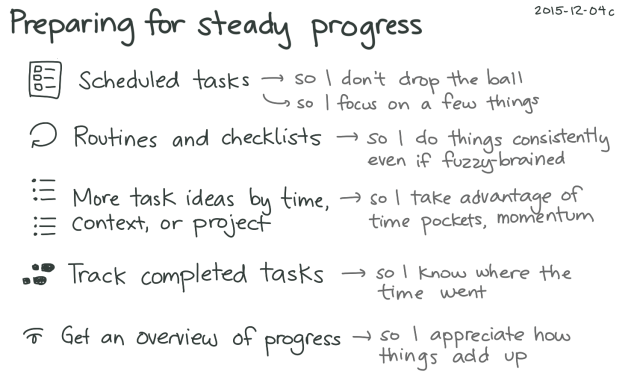 Since both creating and tracking tasks are now easier, I’ve been gradually adding small, routine tasks to my task list. This includes household tasks such as vacuuming and quick computer-based tasks such as checking for replies to @emacs. These tasks are in my routines.org file or tagged with the :routine: tag, so I can sort them in my Org agenda view or filter them out if I want. It might be interesting to bring that data from Emacs to my mobile phone, but it’s not particularly important at the moment. I’m usually home, so I can just check my org-agenda throughout the day. If I’m out for some errands, my errand list is short enough to remember (or quickly note somewhere), and I can use my phone to quickly jot short notes to add to my to-do list when I get back. The next step for that workflow would probably be to improve my views of unscheduled tasks, choosing new things to work on based on their time estimates, contexts, or projects. I already have a few org-agenda-custom-commands for these, although I still need to tweak them so that they feel like they make sense. Project navigation works out pretty well, though, and it’ll get better as I gradually clean up my Org files. It feels a little odd to use my to-do list this much throughout the day, compared to the less-structured approach of deciding at each moment. The day feels less leisurely and expansive. Still, there’s a certain satisfaction in crossing things off and knowing I’m taking care of the little things. I’ll find a new balance between the number of items on my list and the time I want to use to follow the butterflies of my interest or energy. Maybe I’ll use tags or priorities to highlight energizing tasks, the dessert tasks to my vegetable tasks. (Ooh, I wonder how I can get different colours in my org-agenda.) In the meantime, I think that fleshing out my to-do list even more – capturing the little routines that might get forgotten if I get more fuzzy-brained or distracted – may help me in the long run. I think one of the things about working with a list of small, varied tasks is that there’s less of that feeling of accomplishing a big, non-routine chunk. One way I can work around this is to pick a dessert-y project focus for the morning and finish several tasks related to it, before getting through the rest of the routine tasks. 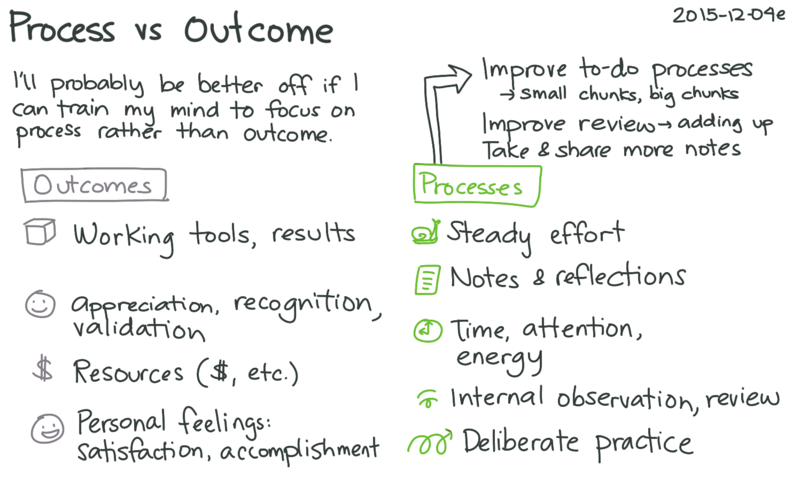 There’s also a different approach: focusing on the process instead of the outcome, cultivating the satisfaction of steady progress instead of the exhilaration of a win. 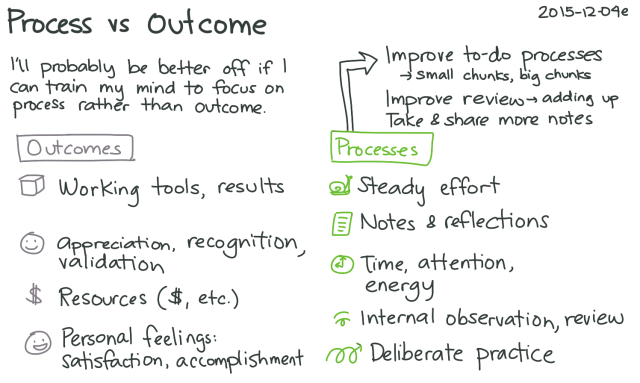 If I keep on improving my workflow for managing tasks, ideas, and reviews, I think it will pay off even as circumstances change. I can call my/make-fill-in-quiz to get a quiz buffer that looks like this. If I get stuck, ? shows me a hint in the echo area. To make it easier, I’ve left case-fold-search set to nil so that I don’t have to match the case (uppercase vowels = macrons), but I can set case-fold-search to t if I want to make sure I’ve got the macrons in the right places. Here’s the code to display the quiz buffer. "Provide visual feedback for WIDGET." "Create an fill-in quiz for the Org table at point. Anyway, I’m sure it will be handy for a number of other quiz-like things. org-drill and org-drill-table will probably come in handy for flashcards, too! UPDATE 2015-11-30: Well, that bitrotted quickly! Chrome Shortcut Manager is no longer available, but maybe Shortkeys will work instead. Since I’ll be snipping lots of Emacs-related resources and organizing them into Emacs news roundups, I figured it was time to get org-protocol working. I was getting the error “No connection could be made because the target machine actively refused it.” I needed to change my Windows Firewall rules. From the Windows Firewall screen, I clicked on Advanced settings and chose Inbound Rules. On the Programs and Services tab, I confirmed that the right Emacs binary was selecI looked for the rules for GNU Emacs, consolidating them down to two rules (UDP and TCP). I limited the scope to local/remote 127.0.0.1. On the advanced tab, I selected all the profiles and changed edge traversal to blocked. I was still getting the error despite a fresh M-x server-start. After I deleted the contents of ~/.emacs.d/server and did another M-x server-start. When I ran emacsclient test.txt from the command-line, it correctly opened the file in my existing Emacs instance. Hooray! I added org-protocol to the org-modules variable so that Org would load it when Emacs reaches the (org-load-modules-maybe t) in my config. Since I didn’t want to restart Emacs, I also evaluated (load-library "org-protocol") to load it. @="\"c:\\Program Files (x86)\\GNU Emacs 24.4\\bin\\emacsclientw.exe\"  \"%1\""
You can find a similar one in the org-protocol documentation. You can import them by going to Chrome’s More Tools > Extensions screen and choosing the Options link for Shortcut Manager. From there, use Import settings. I added my/org-insert-link and org-insert-last-stored-link to my main hydra, which is on my hh keychord. my/org-insert-link is like org-insert-link, except it adds a newline if the cursor is at an Org link so that we don’t trigger org-insert-link‘s behaviour of editing links. This lets me quickly insert a bunch of links with a key sequence like h h l l l l or select a link to insert with h h L. C-y (yank) pulls in the URL of the last stored link, too.